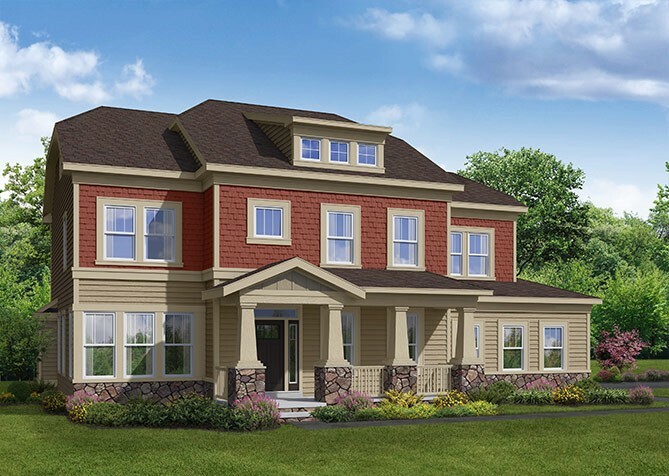 THE CARTER - Starting from $416,900 4 - 6 Bedrooms / 2.5 - 5.5 Bathrooms / 3,166 - 5,163 sq. ft. The Carter was truly designed with today’s family in mind. While more than half of the first floor is dedicated to an expansive open area consisting of the family room, kitchen with oversized island and breakfast areas, The Carter brings modern functionality into the grandeur emblematic of this type of estate home. Separate designated spaces for cubbies and a drop zone are located just off of the garage. A large, walk-in pantry accommodates the everyday storage needs of a growing or large family. Second-floor laundry is conveniently located close to the master suite and three additional bedrooms upstairs. The Carter offers opportunities to add a fourth bathroom upstairs and a main level in-law suite for even more living space. Square footage from 3,166. Starting from $416,900.